You will recieve your (.PDF) DOWNLOAD link and/or serial numbers via your order confirmation email. Look for the blue link in your order confirmation...it will be below any items ordered. You will need Abode Acrobat to open the file. You can get for FREE here: Please remove any spam filters or be sure to allow emails from this site. Thank you! 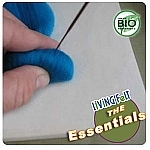 This is a simple project that will help you gain basic experience in the building blocks for sculpting wool. We encourage you to read through each step a few times before beginning. 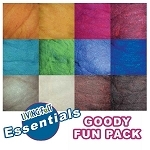 We also have some free videos, including our "Basic Building Blocks" needle felting video that will be helpful for beginners. 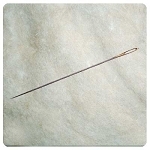 Experiment with different felting needle sizes to see how they function, each has a different strength. 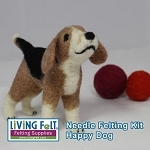 Try to needle felt your pieces so they are firm and without needle marks showing. From start to finish, anticipate about 2-3 hours per hedgehog. Time required for assembly and detail work will vary from person to person, but plan for at least a few hours when you are just starting. 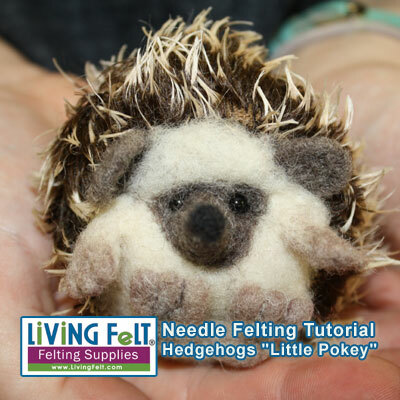 Needle felted hedgehogs are fun and easy with our tutorial. 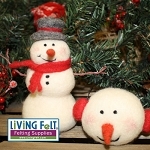 Step-by-step photos will walk you through this fun needle felting hedgehogs every step of the way!